Translating theme is very easy with “ThemeHunk” theme in different language. 1) Download poedit software (https://poedit.net/download). 3) It will ask you language name in which you want to translate. Suppose we are translating in spanish then choose spanish in drop down. 4) Now translate your desired strings. And save it (Ctrl+s). 3) It will create es.mo and es.po file of your translation. 4) After that on your site server, create a new folder in your /wp-content directory called /languages. 5) You need to upload only .mo file to the languages folder you just created. 6) Now change the language in the admin settings screen. Settings > General > Site Language. First install and activate the plugin on your wp dashboard. Then go to Languages within the dashboard. For adding new laguage, Choose a language from dropdown which you want to show on your site. Other fields will be automatically filled. After that click on Add new language . Go to Page/Post. In Page/post editor, you will find a new language column on the right side. Select or switch the desired language and publish your page/post. Polylang plugin will automatically fetch “.mo”file from theme language folder. 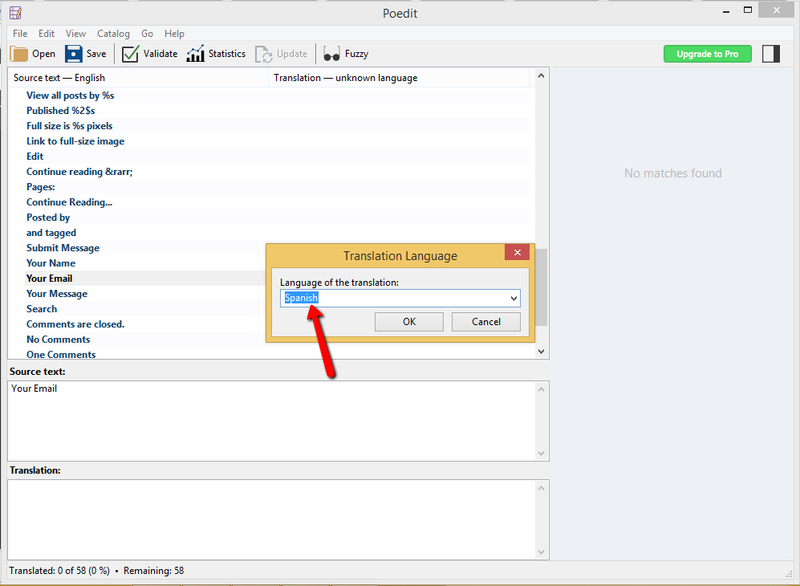 Translate customize panel. Go to Customize > Desired section > Enter the original text in the text area which you want to show on your site. Now go to wp-dashboard > Strings translations. In string translation, you are able to translate the content of your customize panel. Here you will see the desired languages which you have chosen. Just simply write the translation in the input field and show in your panel. For translating Home page sections widget. Just use same process for translating all other widgets. For showing language switcher in menus and widgets. For Menus – Go to Appearance > Menus. Choose Language switcher from screen options > boxes. Add to menus. For menu setting assign your menu to the suitable theme location and show your language in menus for your visitor. For Widget – Go to Appearance > widgets. Choose the language switcher widget, drag and drop it in desired widget area,you will see the lots of customization option in widget, just check the option that you like to show in you language switcher.